This is a couple of things in one – multi list ticking! I decided I wanted to have a knitting project to take on our honeymoon. Sometimes I feel very industrious on the plane. Sometimes I feel over tired and need something to keep me focused. And I also feel like, as well as the site seeing and the hanging out with C, I want to do a few things that just make me happy – after a whirlwind year (of awesome) in which I haven’t really felt like I’ve had a lot of time to do downtime things, like knitting. 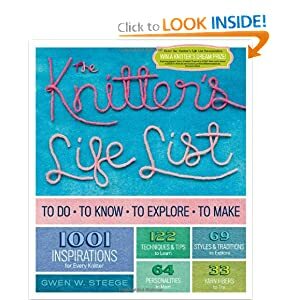 Coupled with this, earlier this year I bought a copy of The Knitter’s Life List and had a skim read. Something I really was taken aback by was that I’ve been knitting for over 30 years and whilst I love what I have made, I’ve actually not been as adventurous a I might think I have in terms of my knitting. I taught myself to knit socks with double pointed needles. I’ve made some shawls. I’ve knit in the round and so on. But here’s this big book of things that actually I’ve not even thought about trying. And it encouraged me – yes via the favourite tool of a tick-off-able list – a whole bunch of new ideas of things to go out and look for and try. These include trying new patterns as well as different textiles. I’ve been on the lookout for these so I can tick them off my list, trying them out first, of course! And I came across this little KAL (Knit A-Long) with a partnering with my favourite yarn dyers – Blue Moon Fiber Arts (ie discount voucher) – Sartorial Cowl. Basically, the idea is you get a clue – or part of the pattern – each week and you knit along and find out what you were knitting at the end. Sounds like heaps of fun. It usually takes so long for the yarn to reach me that mostly the KAL has finished by the time I can start. And so it has again this time. But that’s ok. I don’t think this is a usual pattern for me. Firstly, it’s a different yarn from what I normally buy from Blue Moon – this is a superfine merino in a bulky weight. When I was browsing the site for colours I thought I might like, I came across this one, called The Kracken, and knew that was the one I had to have! I’m not normally into cowls – I’ve not knit one before but they always struck me as well .. headbands for your neck or something. So… not something I’ve knit before and in a yarn I’ve not tried. Seems to tick some boxes. And then it seemed small enough a project for a short trip and then I could wear it on said trip too. Seemed like a win all round. 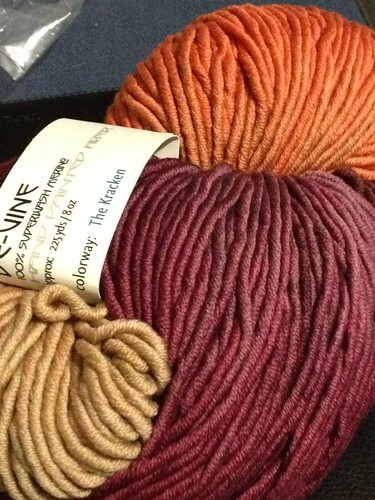 The yarn arrived today and I’m so tempted to knit it now. And I would have started tonight if I wasn’t still working on my first cardigan which I am hoping to have finished to take with me as well.